Read the piece by Dele Momodu below. Fellow Nigerians, interesting times are here again. And the ways of God are mysterious indeed. This time last week, no one was sure who would ultimately emerge as the quintessential leader of opposition for the general elections in our dear beloved country which comes up in February next year. There were about 12 assorted gladiators lined up and seeking the Presidential ticket of PDP, which truly needs to redeem itself urgently from the vestiges of near death. For the most part, its national convention in Port Harcourt went smoothly. Even its worst critics attest to the fact that it was effectively well organised and set the right tone for the regeneration of the democratic credentials of the Party. What was more remarkable, a candidate emerged without rancour or the usual bickering that attends such highly contentious contests. Virtually all the other aspirants immediately aligned with their chosen candidate, former Vice President of Nigeria, the Wazirin Adamawa, Alhaji Atiku Abubakar. Since then, both traditional and social media have ignited with blazing fire with both positive and negative comments about the outcome. Atiku himself wasted no time in seeking the support of everyone, whether members of his Party or not. He’s smart and knowledgeable to know that he will need more than votes of the Party faithful alone to win the stiff electoral battle ahead. As he emphasised in my two previous interviews with him in the last couple of months, he has redeemed his pledge to pick a Vice Presidential candidate from the South East of Nigeria, a move many Nigerians have applauded, and embraced, as a masterstroke. The choice of former Governor Peter Obi of Anambra State is seen by some analysts as the first step towards the restructuring Atiku and company have been mouthing from the rooftops in recent times. Apart from this, Peter Obi is seen by many as a seasoned technocrat and astute businessman with credible and capable government experience and service. The Igbos have rightly complained that they have had neither the Presidential or Vice-Presidential slot since 1983, some 35 years ago, when Dr Alex Ekwueme, of blessed memory, was President Shehu Shagari’s deputy. Buhari has an equally formidable person, who also boasts intimidating credentials and capabilities, as his Vice-President in Professor Yemi Osinbajo. Obi comes with an array of impressive academic, business and political credentials and achievements. He is a Philosophy graduate from the University of Nsukka. He has improved and enhanced himself with academic and practical studies at Harvard Business School, London School of Economics, Kellogg School of Management, University of Columbia, Said Business School, Oxford University, George Business School, Cambridge University and Lagos Business School. These have sharpened his entrepreneurial, management and leadership skills which he clearly utilised in the 8 years that he was Governor of Anambra State between 2006 and 2014. Peter Obi is a recipient of many national and international awards notably the Melinda and Bill Gates Foundation Award for which his State won US$1 million for its immunisation programme. He created an enabling environment for industrial development in Anambra State which saw the likes of SABMiller, the 2nd largest brewery in the world establishing their first Greenfield facility in Anambra State. Similarly, Innoson Motors established their internationally acclaimed plant where they manufacture their made in Nigeria vehicles. Obi adds unquantifiable value to the Atiku candidacy in much the same way as Vice President Osinbajo has done for President Buhari. The battle of the Vice-Presidential candidates may well be the tipping point of these forthcoming elections. We will revisit the contest between this highly esteemed and acclaimed gentlemen soon. The battle for the control of Nigeria’s jugular in 2019 is all set and looks like a straight fight between Buhari/Osinbajo and Abubakar/Obi, except a miracle, or some magic, erupts and one of the fringe candidates pulls a monumental surprise by defeating both teams in what must be close to a volcanic eruption in Nigeria. I personally do not see that happening. The battle will be tough because old rivalries will also come into play. Buhari needs to prove and revalidate his seeming invincibility which seems to be waning if my reading of the pulse of public opinion is accurate. As the incumbent, Buhari controls the appurtenances of power. His ego is at stake. Like former President Olusegun Obasanjo, Buhari came back to power as a retired army General and former military Head of State. Obasanjo was able to complete two terms and Buhari would definitely wish to equal that feat even if he can’t surpass it because of constitutional limitations. Buhari is not known to be a self-acclaimed democrat. The aspect of his brand that has brought him this far is his no-nonsense posturing. A man who would destroy and obliterate all looters and oppressors, by any means possible, if allowed to have his way. This has endeared him to a multitude of totally loyal die-hard supporters. His disciples swear by his name and they are willing to fly to heaven and back to prove their ardent fervour and love for him. Buhari comes into the boxing ring with a daunting personality and attributes. He is tall and gangling, even if seemingly frail, but his punches are capable of deadly effect. Unlike Obasanjo or Atiku, many have said this President is not going to bow to any public opinion and go away without a whimper. Fingers are being pointed at the recent over-militarisation of the democratic process and suspected manipulation of the electoral body, INEC. Whether imaginary or not, or imagination just running riot, no one can easily dismiss certain unseemly electoral practices and possibilities in next year’s elections. We hope that the desperation to remain in power will not go as far as besmirching the view of how far our democracy has been deepened by the fact of President Goodluck Jonathan, accepting the will of the people, and handing over power to President Buhari without any fuss. TheBuhari government won’t accept the tag of incompetence many have affixed to it. They have already compiled a long list of their projects and accomplishments. They have argued that government is a continuum and they are fixing incomplete projects abandoned by its predecessors. Good point. They are correcting the rot of nearly two decades. While they may appear slow, and sluggish, to those of us on the outside, they are insisting they have had to be methodical and painstaking in their work. Perhaps, they are right, we are not sure. FromAtiku’s side, he comes with an effervescent, ever smiling easy going demeanour and personality. He is renowned for his great flexibility and negotiation skills, a shrewd manager of men and women and resources. However, when required he is known to possess a steely resolve necessary to head a country like Nigeria. Atiku comes with a controversial and colourful past though, not least because of the unrelenting assault and pummelling about his character that he had been subjected to by his former boss, President Olusegun Obasanjo. This is veritable easy meat and fodder for APC to deploy in rubbishing his candidacy and demonstrating his unfitness to be President of this great nation. We should expect Atiku and his campaign team to go all out on the offensive and try to debunk all the criticisms, arguments and jibes that APC will propel at him. The harsh disparaging and denigrating diatribe as well as the strident blame game the Buhari government has perfected will have to be met head on by Atiku and his forces. It will not be easy as so much damage has been done to Atiku in the past by the perception of him as an unreliable corrupt politician. On his part Atiku can point to the fact that notwithstanding all the many allegations made against him, nobody has yet been made to make any stick. He has consistently maintained his innocence and dared anyone to prove otherwise. Nobody has called his bluff, if bluff it is! Indeed, he has pointedly referred to the claimed American albatross hanging over his head like a sword of Damocles, that it is but a mere figment of imagination of his inept traducers. As Atiku says, he has never been charged or indicted for any offence either in Nigeria or elsewhere. the American Government has never declared him wanted. He has applied for an American visa on a few occasions, but this has not been granted. If indeed he was wanted in America, surely his visa would have been granted to enable him visit and be arrested. The American Government has never denied either of these claims. On the contrary, that Government has also stated that Atiku is not wanted. In my view, that should put an end to the matter. The Buhari Presidency is not without its shortcomings and negatives. I expect the Atiku campaign to focus heavily on those areas where the Nigerian public have been most critical of the Buhari administration. They will undoubtedly point at the precarious economic condition of Nigerians and Nigeria and blame Buhari for creating panic in the system. On this aspect, Buhari obviously relies on the fact that oil prices dipped violently when he assumed power, but nonetheless his Government has grown foreign reserves to US$44 million and maintained the Naira at a steady level in the past year. Critics of this position point to the fact that oil prices have now increased to a level not contemplated by the Government, which has increased borrowing to an unprecedented level and appears to have heavily mortgaged Nigeria to the Chinese through the exceptionally and dangerously ominous high level of borrowing from that country. The Government has also revived and revitalised transportation through its resuscitation of the road and rail networks. The opposition PDP has always claimed that Government is a continuum, and it was PDP that conceived, started and almost completed these projects, none of which this administration could claim to have commenced itself. Atiku and his team will also enjoy castigating the Buhari government as being overly dependent on taxing business and ordinary Nigerians to death. Atiku will also naturally present, and sell, himself as a successful businessman and try to portray Buhari as a novice who lacks business acumen and therefore is not business friendly. 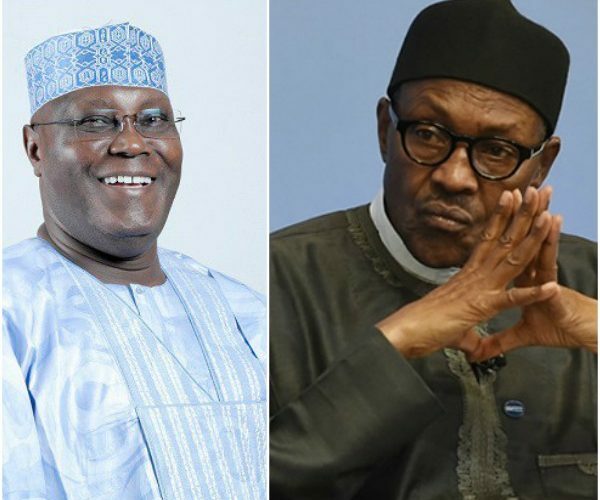 Atiku will contend that Buhari has never had a head, or acumen, for business which accounts for why Nigeria is on the verge of an economic precipice even as the dark shadows that loomed globally at the beginning of his tenure have lifted considerably and there should have been prosperity in the land. Atiku says he has a well-structured economic blueprint, whilst the government is presently adopting and applying a slapdash and inimical approach to the economy. Furthermore, the Atiku camp will exploit the heightened insecurity in the country especially by the infamous herdsmen which the government appears to be treating glibly. They will also point to the apparent resurgence of the Boko Haram insurgency despite what the Buhari administration will claim are the valiant efforts of our security forces. The agitation by IPOB and its followers continues relentlessly. The manner in which the Government has handled the situation is something that the opposition Party is expected to capitalise upon. WhileBuhari would tout his anti-corruption pedigree, Atiku would lampoon it as nothing but grandstanding and at the very best a witch-hunt of the opposition Party. Atiku will contend that most of those who have defected to the ruling Party have had grave allegations of corruption levelled against them in the past, but these have mysteriously disappeared as soon as they jumped shipped and landed with the ruling Party. In addition, I can foresee the opposition claiming that almost all of the so-called achievements of the Buhari Government in relation to corruption originated from the Jonathan administration and that within the highest level of government corruption is rife and thriving and being studiously overlooked by the President because they concern his friends and cronies. The ding-dong claims and counter-claims will dovetail into other areas and continue unabated until well after the general elections. The most critical area would be how to get the numbers together to win. Buhari will come in with anything between 10 million to 12 million guaranteed votes, as always. Most of those votes would come from North West and North East. For whatever reason, I believe that more people will be stated to have voted in this election than in 2015. In my estimation the victor will need to garner at least 18 million votes for success. What is not certain is if North East would abandon its own son now that it has the brightest chance since Tafawa Balewa from Bauchi became Prime Minister in the First republic. PDP will play its traditional joker from the South East and South South axis. Buhari and Atiku require humongous votes from about four out of six regions. Buhari would target North East, North West, North Central and South West while Atiku will target North East (as his home base), North Central (as an endangered zone supposedly mismanaged by the APC Government), South East, South South and enough of a chunk from South West. Let no one rule Atiku out of those five zones, in the present mood across the country. If Atiku gallops away, continuously, as it seems at the moment, he might obliterate Buhari in a devastating defeat. As tough as it may seem, after running for a record 25 years, perhaps this may be Atiku’s date with destiny and his final battle.